Dean’s keen talent and passion for real estate was apparent from the very start of his career over ten years ago. 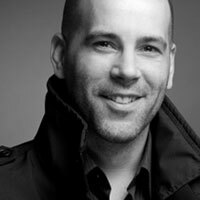 He quickly attracted an extensive network of clients from all walks of life and, in his first three years, he won multiple awards and was recognized as one of the leading realtors in Toronto. In 2008, Dean was invited to join RE/MAX Hallmark, and shortly after teamed up with Brian Ross, bringing his considerable experience in buying and selling central residential neighbourhoods and commercial real estate to the partnership. Dean’s transition throughout has been seamless, in large part due to his strong motivation and constant keen desire to serve his clients well. His knowledge of home construction and architecture, his extensive research skills and drive to find the best deal for a dollar, set him apart from many. Dean lives with his wife, baby daughter and family dog Jada in Leslieville. When not at work, you will find Dean on the soccer pitch or chasing the best hidden dining in Toronto. And, if you meet him out and about, you’ll immediately pick up on Dean’s dedication, non-pushy style and logical approach – all qualities that will ensure a successful and rewarding experience for his clients in the years to come. R+D welcomes Kimsha into the fold, our resident baby-wrangling, Beach- dwelling, design dolphin. Kimsha is our go-getter, our impetus, our organizing designer extraordinaire! Not only is she one of the most likeable ladies you'll ever meet, she also cares more than a care bear and has drive that her MINI Cooper can't outpace. Her idea of relaxing after work is 50 laps in a tidal pool. She prides herself on doing right by her clients, deal after deal. Out of the box creativity, attention to detail and making sure everything fits just right are what sets her apart. She'll make your move feel like you've won the lottery! Real estate must run in Danielle’s veins if you consider her Mom in property-management and her top producing real estate brother, Dean. And that would explain why now that she’s back in Toronto she’s transitioning so seamlessly into R+D from her previous career in hotel management in Western Canada and Australia. Danielle brings a lot of worldly life experience to her new role. Born and raised in Toronto, her first move was to Montréal where she earned her B.A. in sociology from Concordia University. Upon completion of a post graduate certificate in sports and event marketing at George Brown, Danielle relocated to Whistler B.C. and a position with the Fairmont Chateau Whistler that saw her quickly promoted to Department Head responsible for managing the lounge, golf course and restaurant food and beverage teams. From there Danielle ventured further afield to Australia to continue in hotel management at the exclusive Hayman Island Resort. Back in T.O., Danielle brings a unique skill set and a firm belief in the power of personalized service to her career in real estate. Her team appreciates Danielle for her thoughtfulness, her intelligence and her straightforwardness, and if you get to work with her, you will quickly come to appreciate her uncanny ability to establish and maintain personal and trusting relationships with her clients. 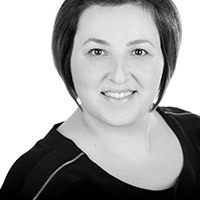 Phylis Perciamontini is R+D’s administrator and Client Care Manager. 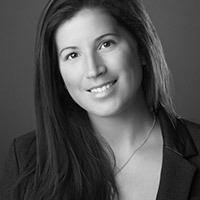 She brings over 12 years of Toronto real estate experience to the team, as well as top notch administrative, organizational and technical skills gleaned from her role in over 5000 transactions. It is in her role as Client Care Manager, however, that Phylis really shines because she appreciates what an emotional experience buying and selling a home can be. She is passionate about our clients’ needs and goes beyond just helping, instead taking time to build relationships and ensure that every detail gets looked after. When she’s not caring for our clients or supporting the team, Phylis can be found on the field playing women’s league soccer or on the ice wielding her hockey stick. She graduated from Centennial College as a Development Service Worker and thoroughly enjoyed working in the field for several years. Today Phylis is hoping to be able to find a part-time volunteer position caring for seniors that will allow her to continue. Phylis is married and has a son and a daughter.